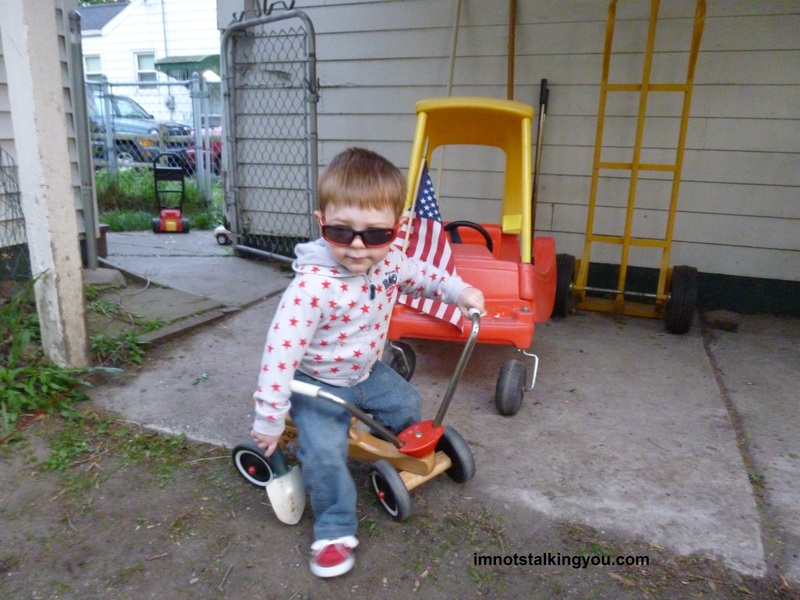 Memorial Day | I'm not stalking you. Those who know me know that Memorial Day is my favorite holiday. And now you know too! Thank you to all the brave men and women who have served their country in the military and continue to do so today. Thank you also to those who have passed on, whether it be on the battlefield or in their own kitchens. From the bottom of my heart…THANK YOU. Proudly displayed all year long. 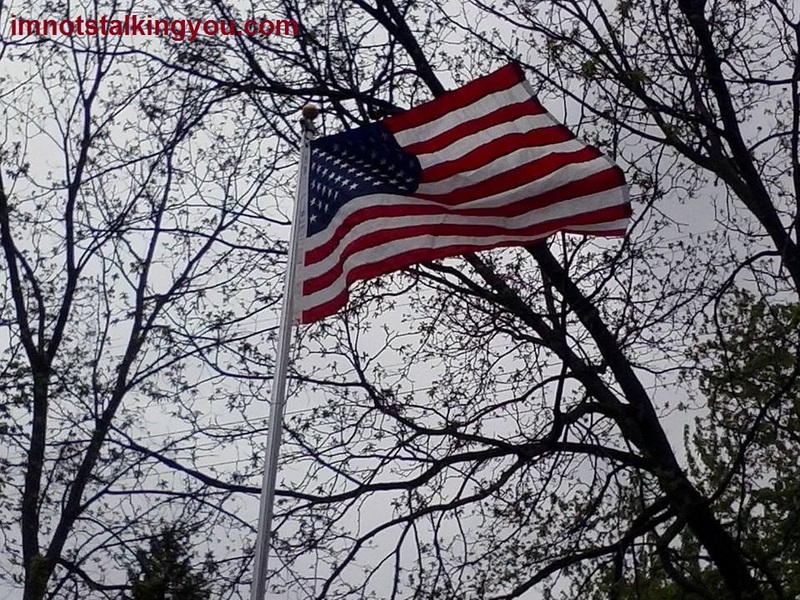 Posted in A day in the life and tagged Freedom, Memorial Day, military, Remember, serving, thank you, veterans. Bookmark the permalink. What Are You Doing This Holiday Weekend? What am I doing this holiday weekend, you ask? Why, I am being thankful for the men and women in our armed forces who sacrificed their time and lives so that I can live free. Posted in A day in the life and tagged armed forces, favorite, holiday, Memorial Day, military, soldier, thank you, veterans. Bookmark the permalink. Have We Forgotten Our Dead? My mom, my son M, and I visited three cemeteries the Monday prior to Memorial Day, to decorate family members graves with flowers. Two of the three cemeteries was very unsatisfactory. The first one, St. Joseph’s Catholic cemetery in Adrian, Michigan, had their drive blocked with orange construction cones. It seemed they had decided that a week before Memorial Day was the optimal time to put fresh tar in the cracks of the paved drive. Really? How does that make sense? To block people out of the cemetery at the one time of year when they are guaranteed to want to visit?! As I didn’t want to get fresh tar on my car (the hail damage is enough to give it character), my mom and I made alternate arrangements to come back on Wednesday. Surely it would be open again by then, right? Next we visited Pleasant View cemetery in Blissfield, Michigan, where my dad is buried. 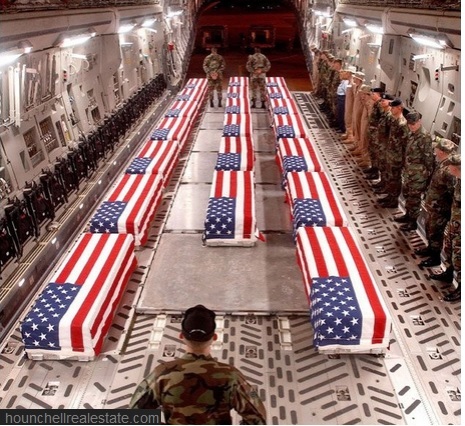 There was no sign of the flags that they always put on the graves of veterans. The place had not even been mowed. There were branches and stray bits of liter everywhere. My mom is very particular about millions of things in this world. Most of which I DO NOT and WILL NOT ever understand. But on one thing I do agree with her, and that is that you should place your flowers at the cemetery after they have mowed. Otherwise, your artificial flowers get dirt and grass thrown all up in them and look terrible. But, having no other options, we placed our flowers at that time. 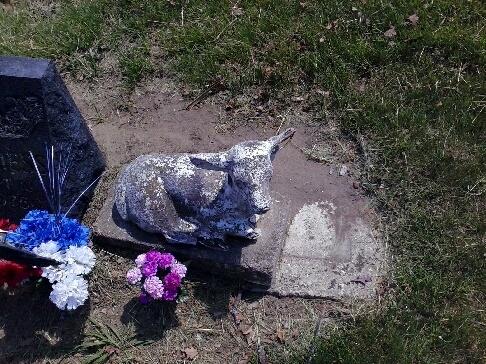 Next to my dad’s tombstone is a concrete marker in the shape of a lamb for his sister, who was born and died before he was ever born. It probably isn’t made out of very quality materials to begin with, and it has been there approaching 100 years. But we could plainly see where the riding lawn mower clips it when it goes between the stones. You can see where I pushed away the dirt with my foot to expose the original resting position of the lamb. These stones are the only thing left to mark these people’s lives (in this instance, of a deceased baby who never even got to live her life), and you have to carelessly push them over on their foundations? When my mom and I returned to the St. Joseph’s Catholic cemetery on Wednesday, we witnessed the same thing. The place had not yet been mowed. The tombstones on the ends had been moved on their foundations, from previous passes with the mower. I tried to push one back into position, unsuccessfully, and almost gave myself a hernia. Aside from the shotty groundskeeping, I also noticed that WE, as surviving family members as a whole, are not decorating. The entire section my dad is located in was almost devoid of flowers. Everyone in his section generally died in 1980 or before. Now, looking across the cemetery to the newer section, it did appear to be very decorated. I guess all the people in the ground in the new section are the ones who used to decorate the tombstones in the old section. Even sadder is that they never told their children that someone had to keep decorating the grandmas’ and grandpas’ when they themselves had moved on. Decorating gravestones is very similar to how I feel about sending greeting cards. I know that it is an extra expense, but we lose a little of our humanity when we decide it is not worth our time and bother anymore. A website exists called Find-A-Grave. It is a great resource for genealogists. But, you can also leave “virutal flowers” for people. I have an issue with the “social media-ization” of the dead. Posted in A day in the life and tagged artificial, cemetery, dad, decoration, Flag, flowers, forgotten, groundskeeping, Memorial Day, mow, neglected. Bookmark the permalink. My favorite holiday. Thank you from the bottom to the top of my heart for all those who serve our country, past, present, and future. You protect our freedoms we enjoy daily. You are my heroes. This is my dad, Loren. 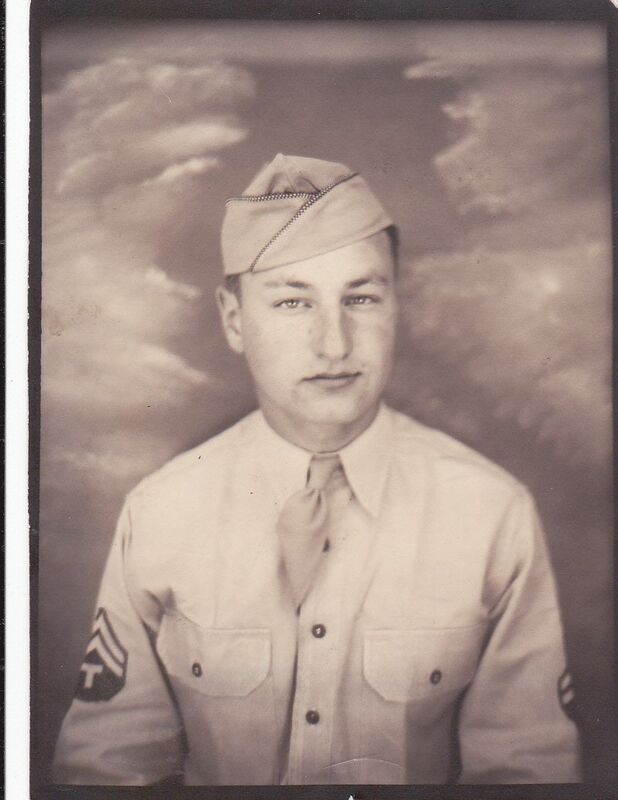 He was in the Army medical corps in Germany in WWII and drove an ambulance. He was there when they liberated a concentration camp. I never got to meet him, but I am still awfully proud. My mom always says it was the biggest thing in his life. He traveled halfway around the world. And it doesn’t get more momentous than serving during a war. Posted in A day in the life and tagged ambulance, army, concentration camp, driver, Germany, holiday, liberate, medical corps, Memorial Day, service, thank you, veteran, World War II. Bookmark the permalink. I want to wish everyone a happy Memorial Day! Be thankful for the freedoms you enjoy in this great country and honor those who gave their time and lives for it! Posted in A day in the life and tagged dad, love, Memorial Day, patriotic, soldier, thankful, veterans. Bookmark the permalink.